​​There is 7 rounds and 6 tracks in the 2019 Spring Series, you must race 5 out of the 7 rounds for overall awards, but all points count. So even though you only have to do 5 rounds you can earn additional points by doing as many races as possible. Trophies will only be awarded back to 3rd place, plaques will be award for 4th, 5th and 6th place. If you have a problem or issue at a race, take it up with a track offical or Committee Member only. Do not address it will the racer or parent of the racer! For the 50cc Novice class there will be no wheel size limitation, the focus will be on the skill level of the rider. 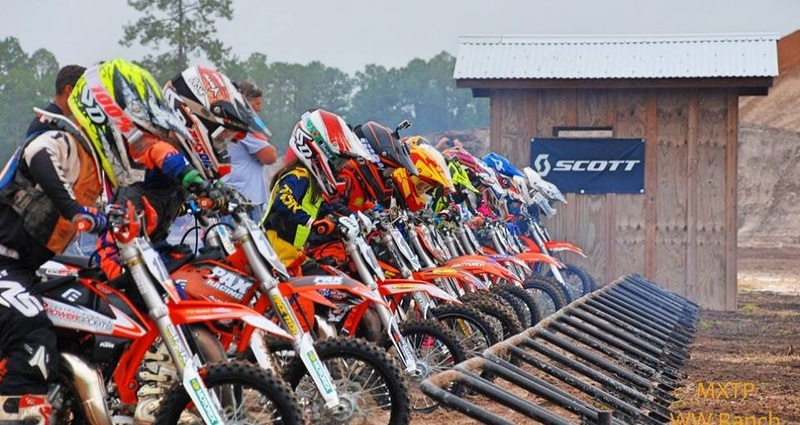 When a racer gets discouraged due to “sandbagging” in the class, most likely they will quit the sport. Our goal is to grow this sport, so we reserve the right to move any racer up to the next class. We will attempt to get everyone in their proper class at the first race of the series. If this happens to you or your kid, please understand it is a compliment, you or your kid is better than you thought. Sandbagging will not be tolerated, we will attempt to provide fair competitive racing for everyone! We encourage racers to move up ASAP. Motocross is a dangerous sport. If you do not have health insurance, it is suggested that you obtain health insurance from one of several motorcycle organizations that provide such insurance for a nominal charge. If you do not have medical insurance coverage, then we suggest you do not practice/race. Anyone 17 years old and under, must be accompanied by a parent or legal guardian to ride or you may sign a "Minor Release" form. This release is to be signed by a parent or legal guardian and then have it notarized. This document must come with you each time and be current for that day of racing. NO EXCEPTIONS! No fighting will be tolerated, anyone involved in fighting will be banned from the series and take the risk getting arrested. NO BURN OUTS IN THE PIT! This rule applies to practice and race day. First gear only to and from the start gate/track. Riders must wear proper approved protective gear which includes boots, helmet (must be securely strapped on) , and goggles. We suggest you wear a chest protector, gloves, MX pants and long sleeve jersey. No tennis shoes. Only registered riders/racers may ride the track. Mechanics, family, or friends are not allowed to ride unless they sign in first and pay their rider's fee. When you sign in, you are registering the rider not the motorcycle. Any person who deliberately attempts to enter the track or ride without signing the proper waivers and/or paying their fee will be ejected and possibly be banned from the track. No firearms or weapons of any kind are allowed on premises of any tracks at the BOSS. Ride only on the track in the direction with other riders. You must never do a U-turn or go in the opposite direction. Family, friends and mechanics must stay behind the fence and off the track once practice and races have begun. Parents, please monitor your children at all times. You must teach them our rules and control them. All pets must be on leash at all times and PLEASE clean up after your pet. The Series is not responsible for stolen or missing items. Track officials reserve the right to pull you off the track if you present a danger to yourself or others.